L.O.L. Surprise! 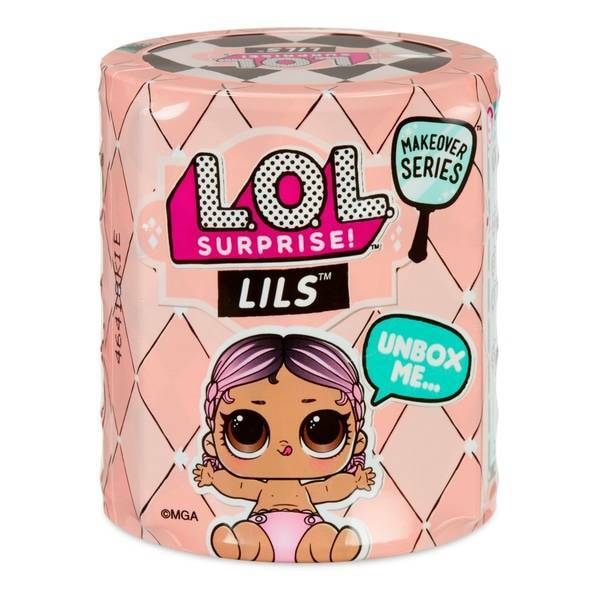 Lils have so many lil' surprises to unbox. Will you get a pet or a lil sis? Or even a lil brother?! (Each sold separately) L.O.L. Surprise Lils come in a hair curler. Unbox it to find 5 surprises! A Magic Mirror, a Secret Message, a Fashion Accessory, an Outfit and a L.O.L. Surprise Lils doll. Collect all the adorable new characters and surprises with L.O.L. Surprise Lils. Styles may vary.